Over 300 companies have signed up as members of the Made In Britain Campaign since its launch in December 2013. The member-funded, independent organisation aims to promote British industry at home and overseas. To celebrate this milestone and to showcase UK manufacturing to an international audience, the Campaign is exhibiting at the Made In The UK conference (21-22 July), which is a satellite event of the International Festival of Business. The Made In The UK conference includes an exhibition of the UK's leading manufacturers demonstrating the very best of British products, parts and innovative solutions. The conference includes sessions chaired by a number of the UK’s leading businesspeople from the likes of McLaren, IGas, BAE, Airbus, Siemens and STS Defence. 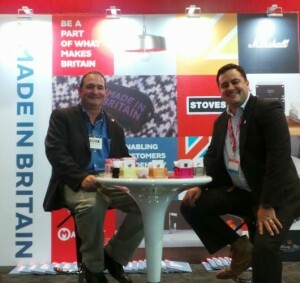 Made In Britain members include iconic amplification manufacturer Marshall Amps, Belling, Simplex, Stoves and Formica. Adrian Walker, a Director of the Made in Britain Campaign said: “We’re thrilled with the level of support and interest we’ve received from the UK manufacturing community so far. But we still have a long way to go to reach our intended target of signing up 1,000 members by the end of the year. “It is clear that there is an appetite for UK manufacturers to use a recognised marque to promote their British-made products and we want to connect with more British businesses during the Made In The UK event, whilst flying the flag for British commerce at the International Festival of Business." The Made In Britain Campaign provides a means for customers to recognise goods that are manufactured in Great Britain and aims for the Made In Britain marque to become the independent recognised country of origin labelling for the UK. The Campaign wants its award-winning marque to become the definitive symbol of British provenance. 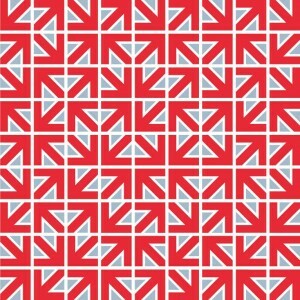 The Made In Britain Campaign provides a means for customers to recognise goods that are manufactured in Great Britain. The Made in Britain Campaign empowers customers with verification of the provenance of British-made goods, so they are then able to make an informed choice about which goods they would like to buy. By enabling customers to identify British made products, the Made in Britain marque will support and promote British manufacturing in all sectors in the UK and overseas.